This is the last day of 2014! 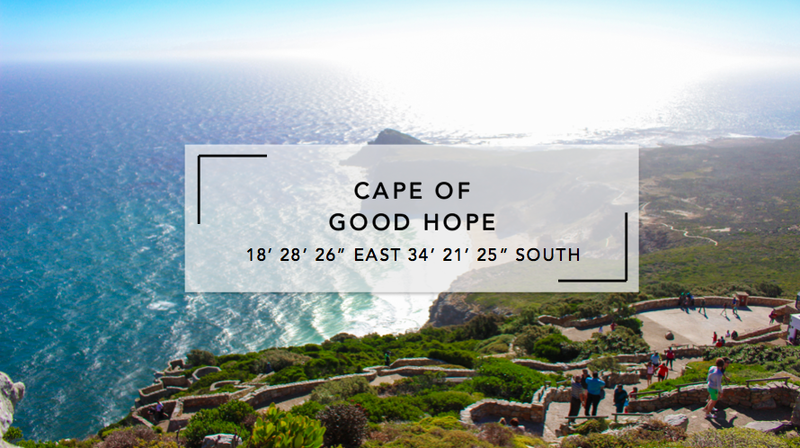 What’s better than going to the Cape of Good Hope? For breakfast we ate at Knead again. I had their house salad, which has different greens and pumpkin in it, healthy is the way to go. Before heading to Cape of Good Hope we went to Truth Coffee. 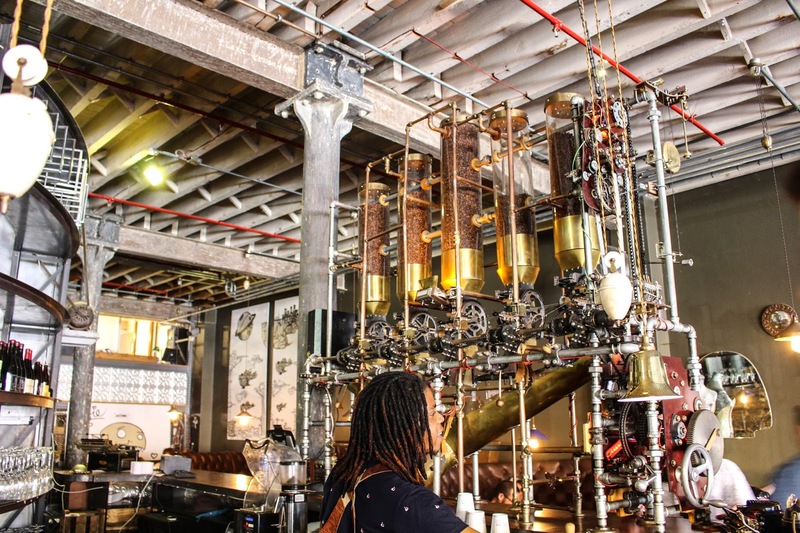 It’s the best coffee place in Cape Town, and also one of the biggest coffee bean providers for all the coffee shops in Cape Town. I actually hate coffee because it’s so bitter. But I tried Truth coffee’s latte and it was amazing. There’s almost no bitterness, but what is left is the aroma of fresh made coffee in a liquid form. They also serve tea and alcoholic beverages. It didn’t really seem like a typical coffee shop or a bar. 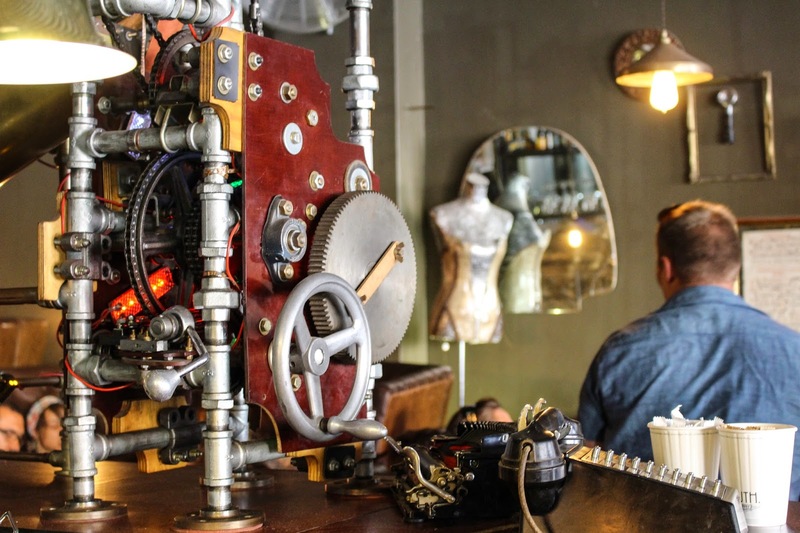 The interior had really creative decoration with this industrial and vintage theme. It’s as if I walked into a coffee factory in the past. Even the baristas are dressed in all leather. After finishing truth coffee our Uber driver drove us all the way down to Cape Town. It was around $1,200 Rand for 2 people ,which is equivalent to a tour price. But what’s best is that we can go anywhere we want and stop however long we want if we take an Uber. 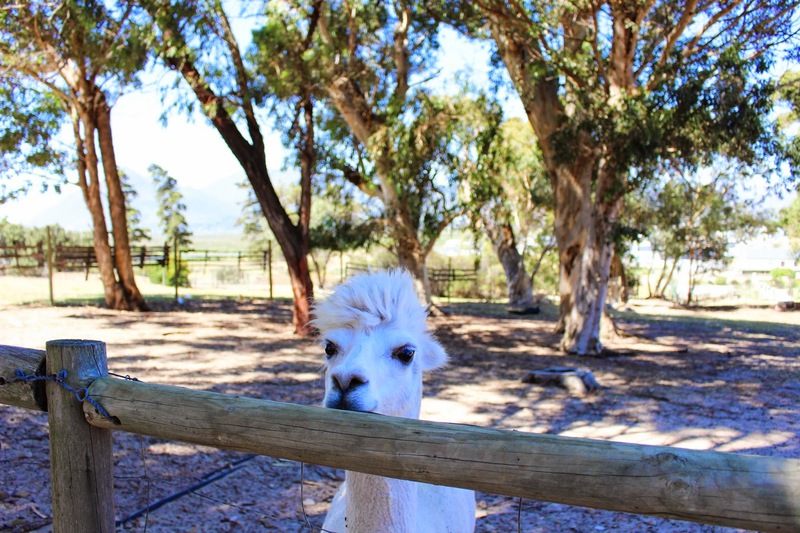 So before going all the way down south to Cape of Good Hope, we stopped by Imhoff farm. 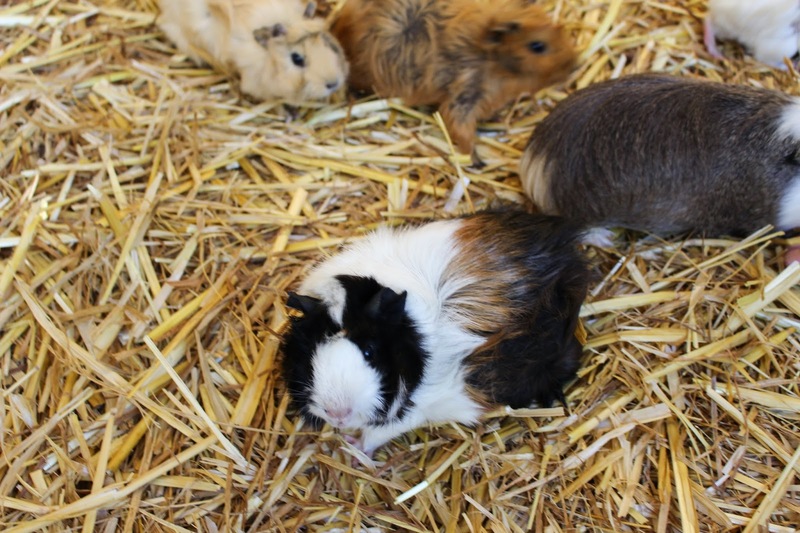 I actually found this place online by searching animal petting. 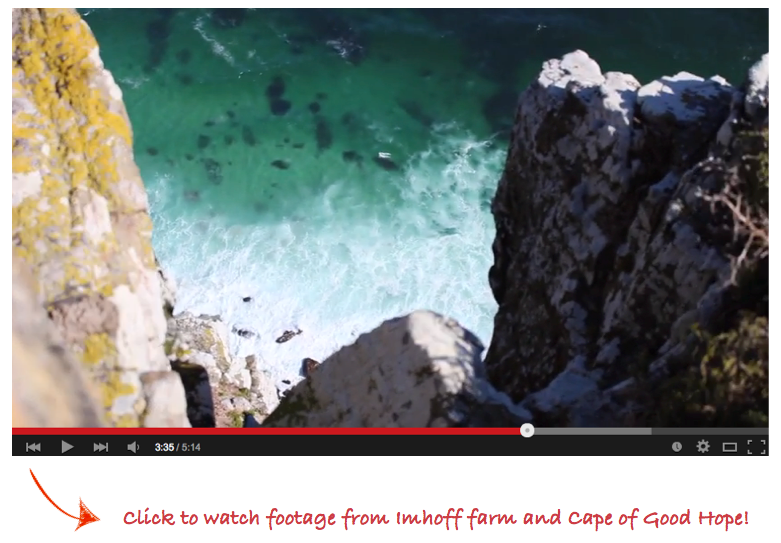 But the thing about Imhoff farm is that it’s a bit out of the way and no tours would go there. So taking uber is perfect! 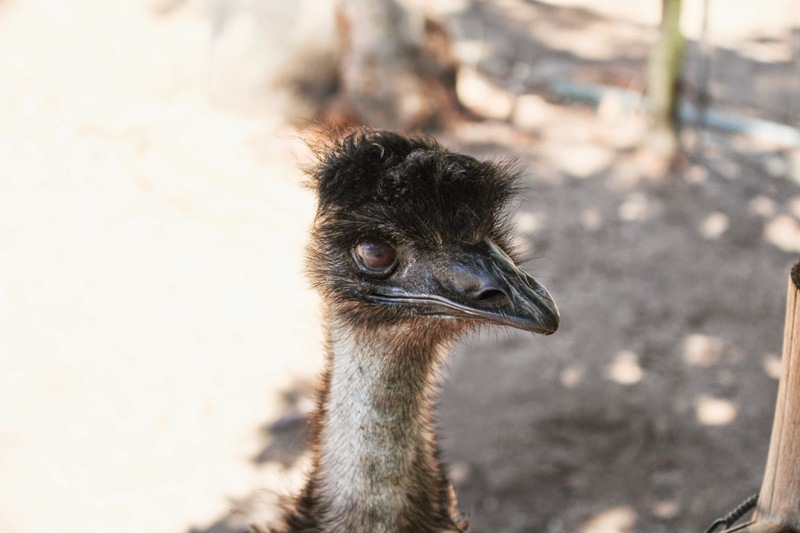 Some safaris are offering petting baby animals, but Aquila is still planning that and it won’t open till late 2015. After Imhoff farm, it’s about another hour till Cape Point. You have to pay around $100 rand per person to get into the national park area (including the taxi driver). 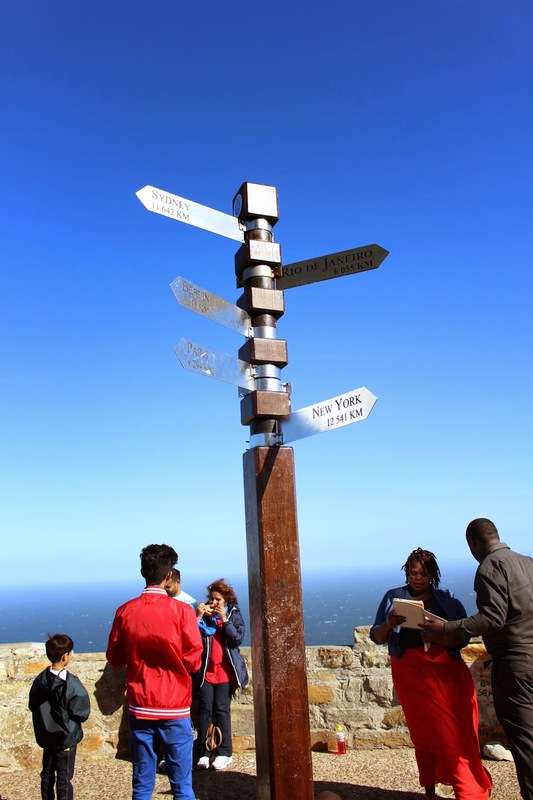 I actually didn’t know that Cape Point and Cape of Good Hope are two different spots. 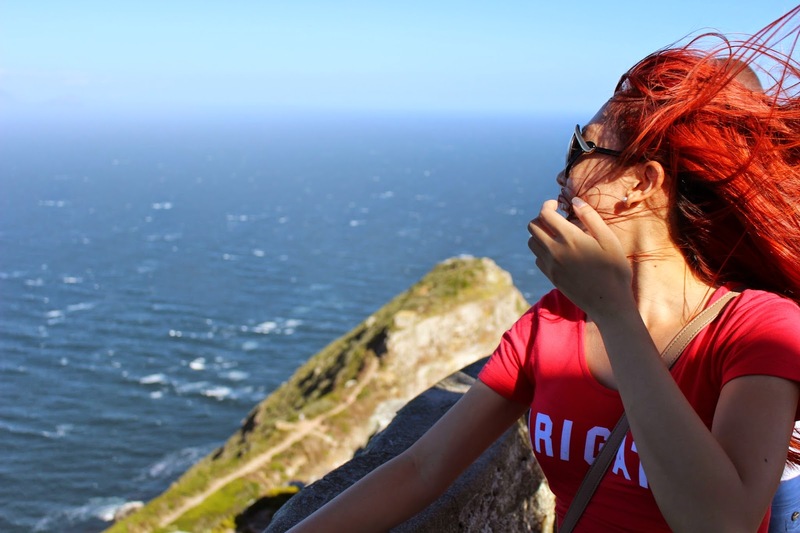 So Cape point is on a really tall hill, and there’s a lighthouse on the top looking out to the ocean. You can either take the overly priced tourist rip off tram to the top, or you can walk to the top (probably around 15 minutes?) The thing is it’s really high up but really windy at the same time. There are no walls on the side so you always feel like you will fall off the cliff. Behind the lighthouse you will see a sign with distance to different big cities around the world. 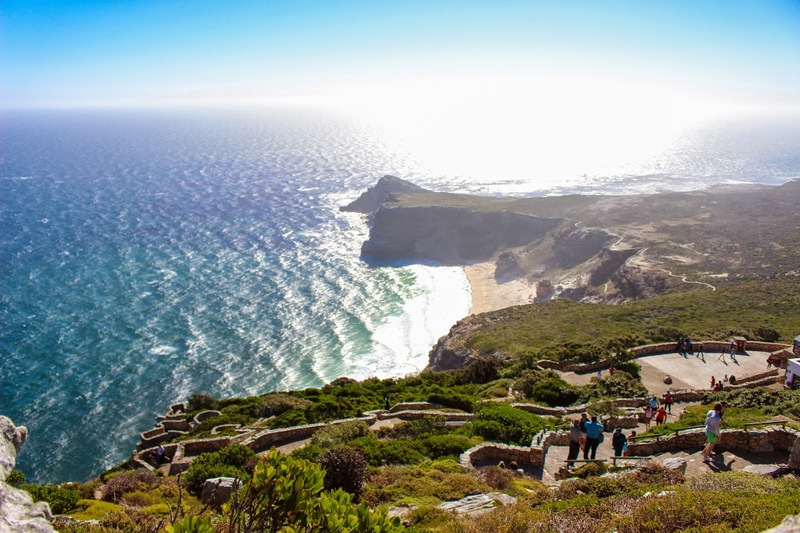 Cape of Good Hope is back down on sea level beside the beach. There’s actually a lot of people wind surfing at this beach, which makes sense since the wind is really strong here. By the end my hair was a complete mess I didn’t even bother. 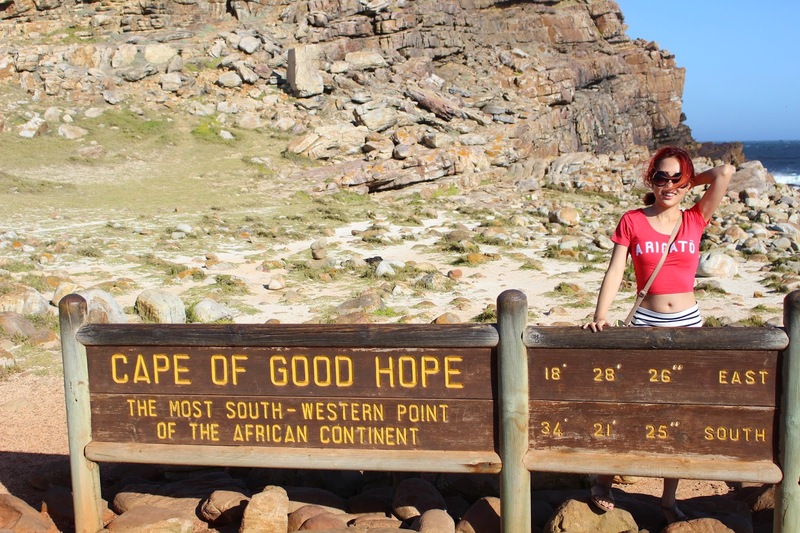 But I'm really glad I went to Cape of Good Hope. I can feel 2015 is going to be really good! For the last meal of 2014 we had steak at this family owned steak place. Besides Belthazar, this is probably the best steak place. It has a really cozy homey feeling. The interior looks like a cabin in the mountains with carpet floor, the tables and benches were wooden, and there’s candles lit on the tables. After dinner we just watched the countdown outdoor party outside our hotel. Cape Town itself is amazing enough that getting wasted partying just doesn’t interest me at all. But then again it’s still nice to get a perfect view for the countdown to the near year! 2014 has been such an amazing year.